Hello friends! Wow, it’s been nearly a month since I’ve published a blog post, it’s the LONGEST hiatus I’ve ever taken in the history of my blogging journey. I took a much needed break because I was battling a bad cold for three weeks and I’m so thrilled that I’m finally back up and running! 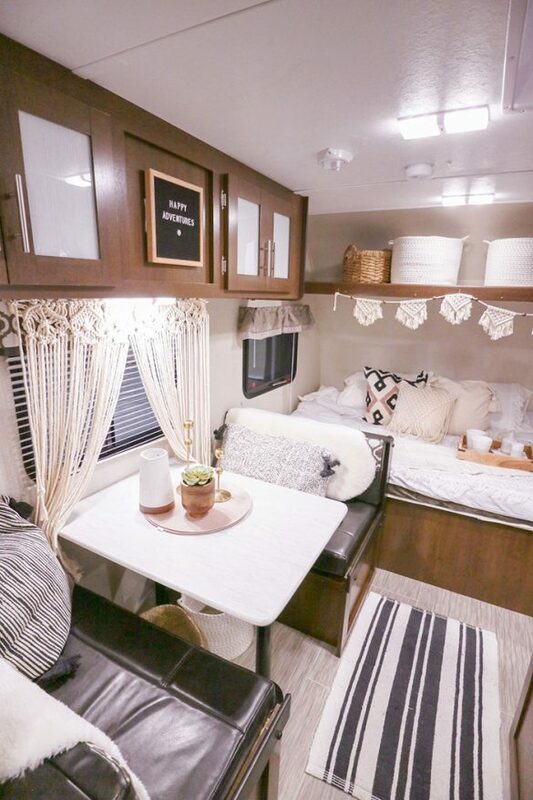 In between my coughs and sneezes, I did however manage to work on a super fun project with the orvda in transforming a plain, simple RV into a home away from home! This was just the perfect project to kick off 2019 as I am looking forward to bringing you all more home and decor content this year.